ESL has announced the return of Dota 2 to the UK with the ESL One Birmingham. Being a part of the ESL One circuit, this event will also be streamed live on Facebook watch. Despite many objections from the community, the ESL One events continue as ESL has a multi-year contract with Facebook. The organiser has publicly admitted that their viewership numbers were much below expectations. Regardless, it is always heartening to see ESL events return to the UK. ESL One Birmingham will take place from May 31st to June 2nd 2019. 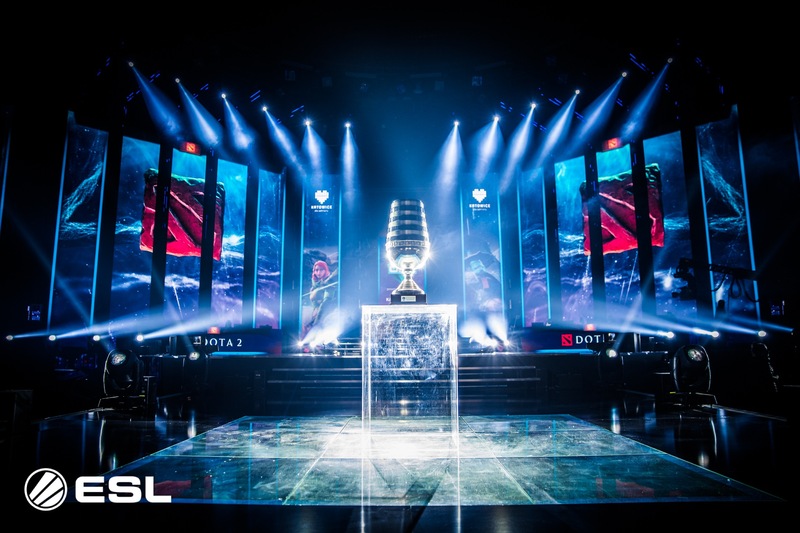 The tournament will not be a part of the Dota Pro Circuit, but that has not stopped ESL from hosting Dota 2 events before. They just concluded the ESL One Hamburg. Team Secret won the event after a 3-2 victory over Vici Gaming. Despite winning the cash prize, this does not mean that Team Secret is a step closer to The International 2019. ESL One Birmingham became the fastest selling ESL event till date. The tournament sold out 1000 tickets in under 5 minutes, Virtus Pro was the ESL One Birmingham 2018 winners. We hope to see them again this year at the event. The tournament itself will see participation from 12 teams. The twelve teams will be divided into two groups of six teams each. Similar to the format at ESL One Hamburg, these teams will play each other in a Round-Robin format. They will compete against all others in their group in Best of Two matches. The Top-seeded teams will move to the Upper Bracket Semifinals, while the 3rd and 4th seeded teams will play in the Lower Bracket. The Grand Finals will be a Five-Game series involving the two best teams at the event. ESL acknowledges the UK Dota 2 community. ESL has been surprised with the enthusiasm and the demand of the fans when it comes to an esports event in the UK. Despite being home to several esports organisations, the UK does not see many events. Part of the reason remains the absences of top UK players in the esports scene. However, as we saw from Birmingham in 2018, the fans are more than eager to attend these events. The ESL One Birmingham 2019 tickets go on sale starting November 15th. If last year’s pace was any indication, you will need to get your hands on the tickets very soon. Last year’s Grand finals were also broadcast on BBC Three TV Channel. I’m delighted Birmingham will once again play host to an ESL tournament. It is a testament to the brilliant fans who made this such a success last year, and we look forward to welcoming fans from across the world. ESL’s presence here is a great boost for the Midlands region and further proof that esports in the UK is going from strength to strength. Margot James, Minister for Digital and the Creative Industries. You can buy the tickets on the ESL website here.